The Penang International Food Festival (PIFF) is back again this year! 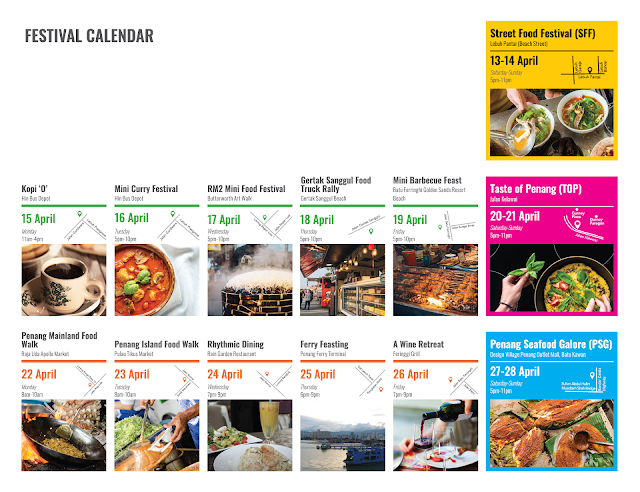 The PIFF is an annual event festival held in Penang to promote the state as the food paradise of Asia. PIFF is designed with food lover in mind. 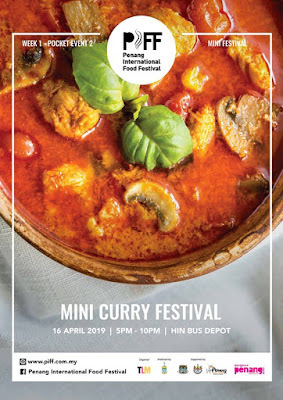 Their hard work and efforts is to bring the world-class food festivals through major vents, mini festivals, food trains, competitions, dining experience and sharing sessions. 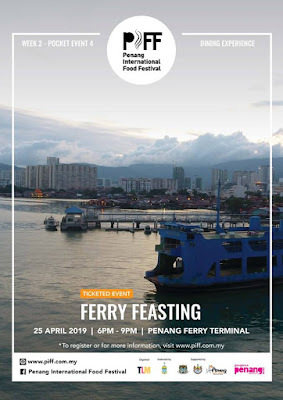 The events will take place at unique locations such as local market, narrow back lanes, aboard the Penang famous ferry, an old bus depot and other distinctive venues. They promise a journey to discover the sizzling unique sights, tastes, sounds and aroma Penang has to offer. 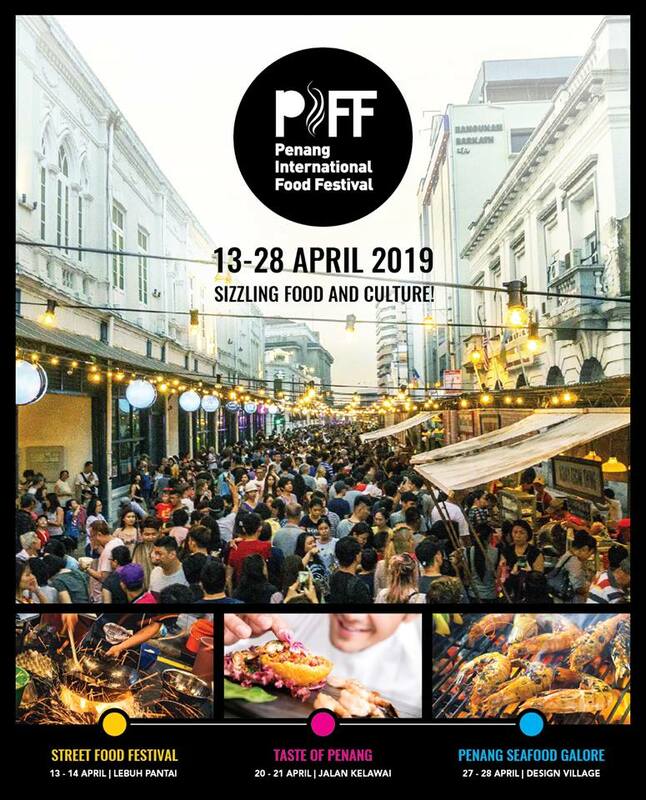 Penang International Food Festival 2019 (PIFF 2019) will be held from 13 Apri 2019 to 28 April 2019. 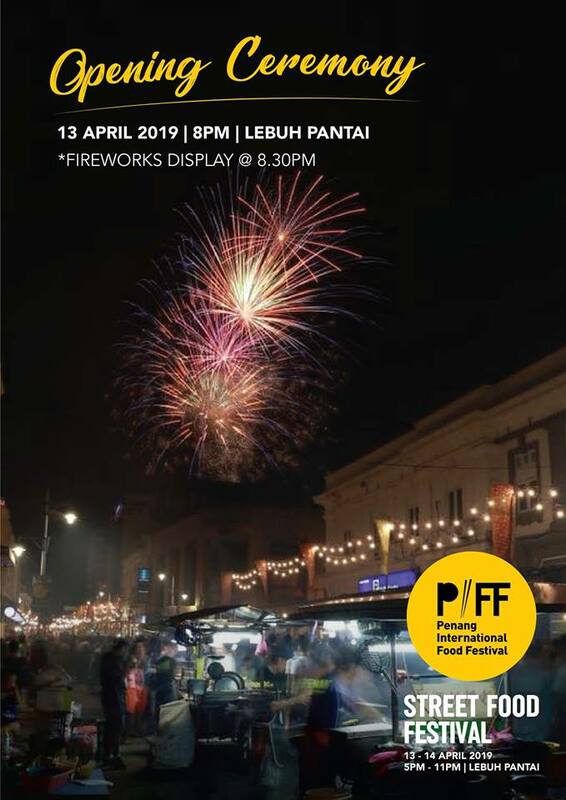 The 2 weeks festival will kick off with PIFF 2019- Street Food Festival on 13 and 14 April 2019, 5pm to 11pm happening at Lebuh Pantai, Georgetown. 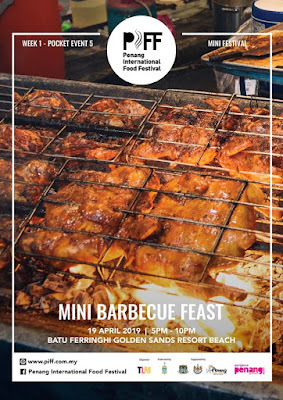 They say about 100 stalls of all your must-go Penang street food are gonna be there hence it's where street food lovers has got to be! While we're at it, do remember, PIFF GOES GREEN! 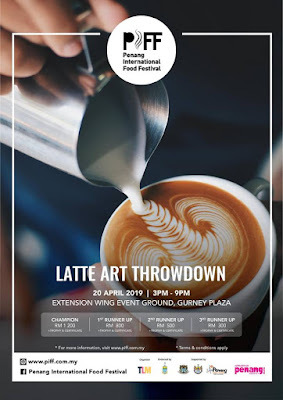 Do your part for the environment and take the initiative to minimise the use of single-use plastic. Bring your own reusable containers, cutleries and go strawless! 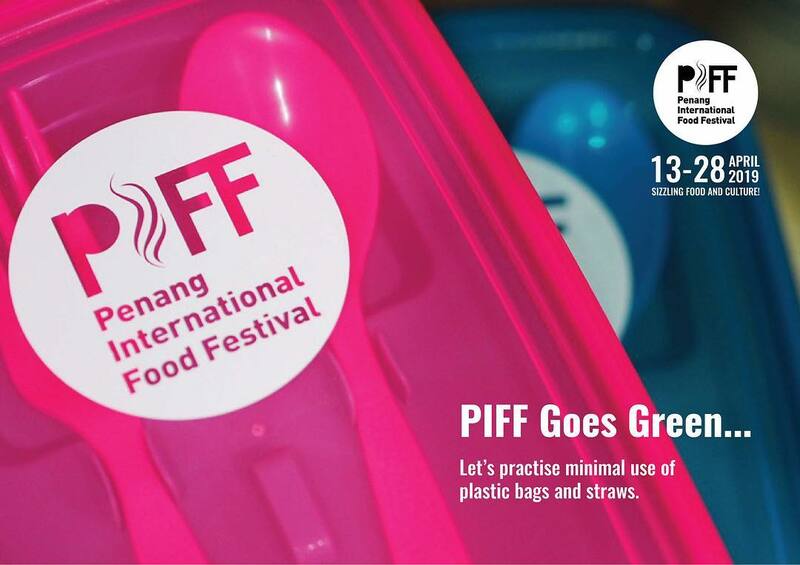 To #CleanerGreenerPenang! Free your parking worries! 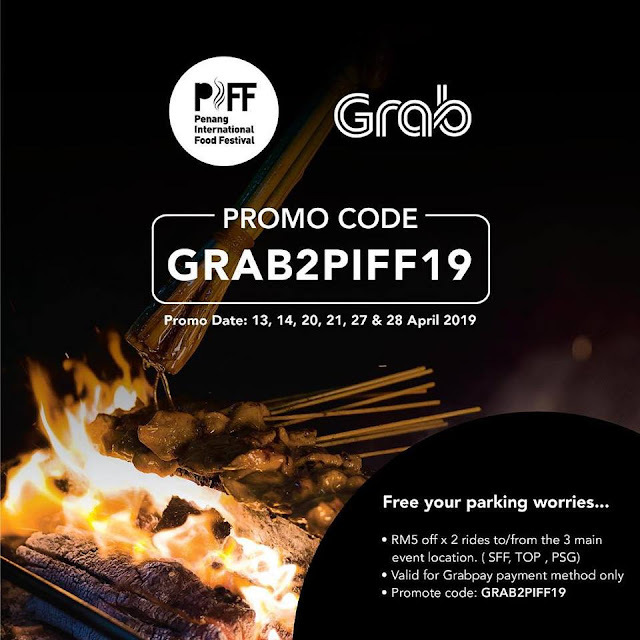 Grab to PIFF 2019 major events and enjoy RM5 per ride, up to 2 rides per user. Enter promo code GRAB2PIFF19 to enjoy! 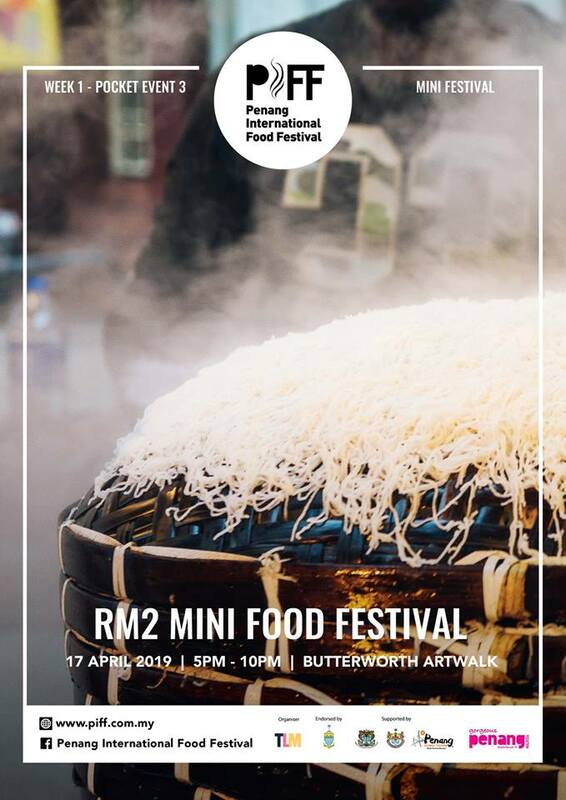 Last but not least, make sure to save a copy of the festival booklet - your must have book during these 2 weeks! wah semua menu kat penang nampak menyelerakan..wajib kena ajak suami pergi sana ni..
Penang memang boleh kata syurga makanan. Bile buat event macam ni, lagi seronok orang nak pergi cuba ramai ramai. Nak nak lagi kalau orang luar yang memang tak tau tempat tempat makan best dekat penang kan.
Ok dah mark calendar nak pi yang mana..tq Julia bg info..kita pulun makan2 dulu sebelum puasa..
Waaa.. Bestnya akan diadakan festival di Penang. 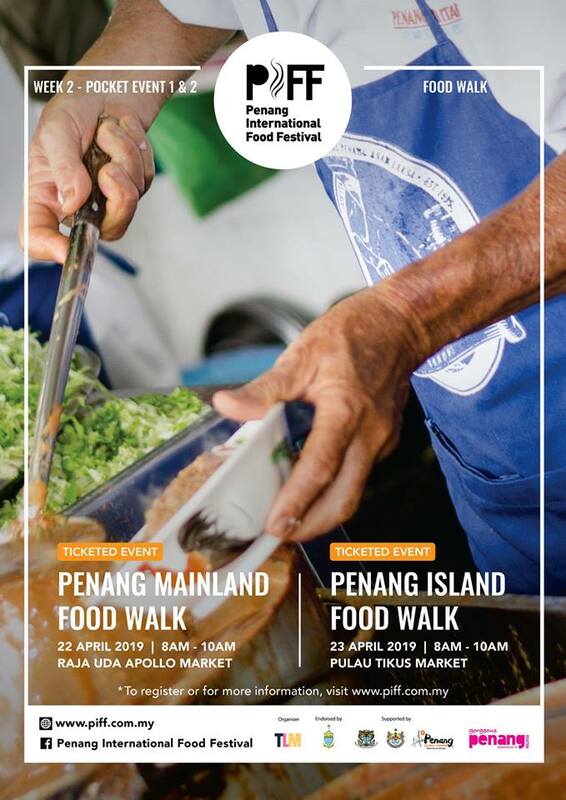 Penang penang sampai 2tahun lepas ke 3tahun lepas macam tu. Tapi sampai pun di Balik Pulau je. Sebab follow pengantin. Tak dapat nak ronda sakan..
Dah banyak tahun tak pergi penang ni. 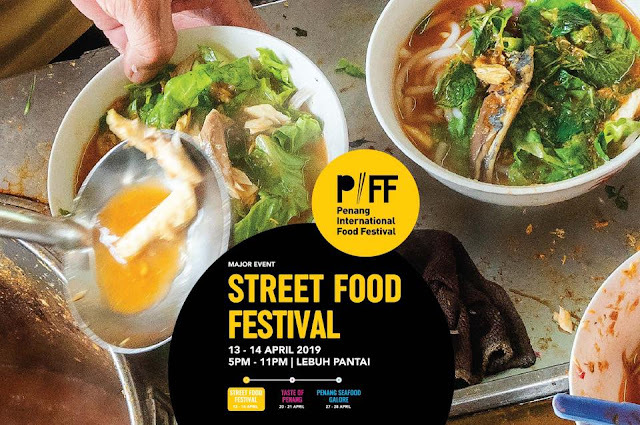 Emi kalau ke penang memang tujuannya nak food hunting la. 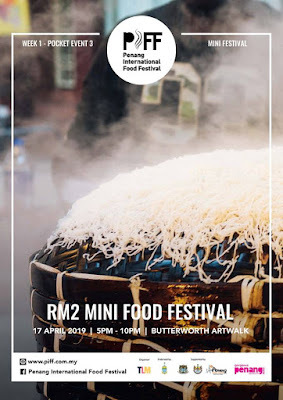 inshaAllah hujung tahun ni macam nak ke sana sambil2 attend wedding kawan. 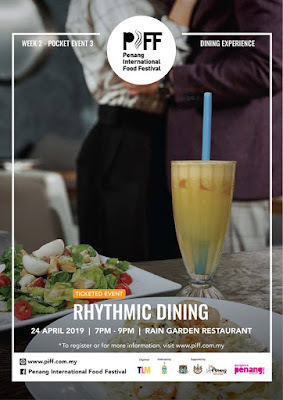 Food Festival memang best. 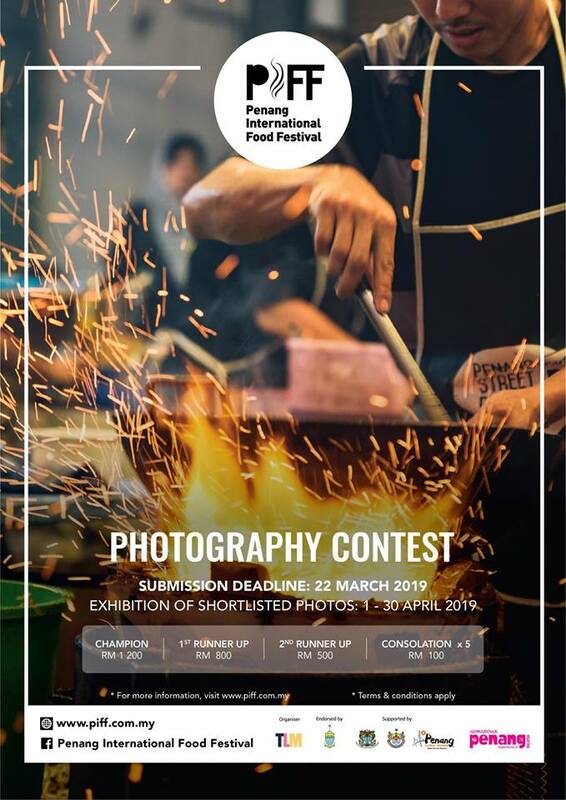 Kalau nak makan semua the best food di Penang hanya di satu Lokasi. 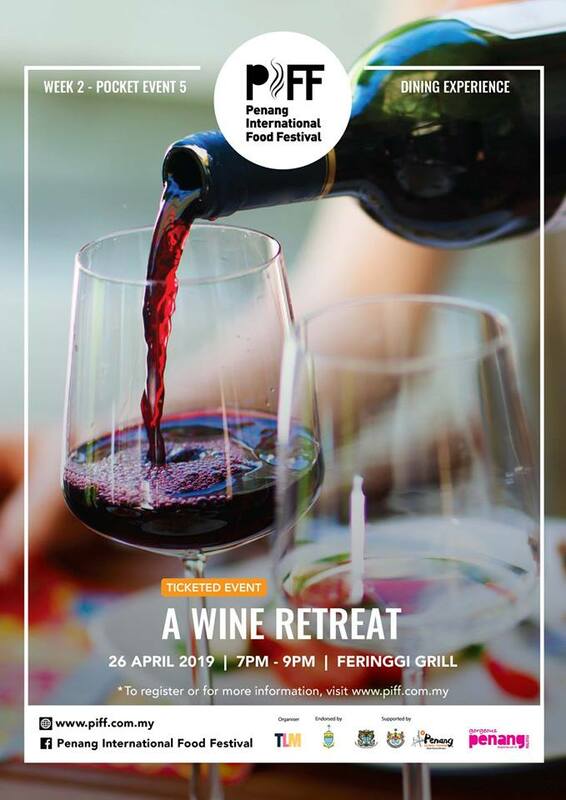 Inilah masanya. Jika dulu korang sibuk plan nak ke Restoran itu ini. 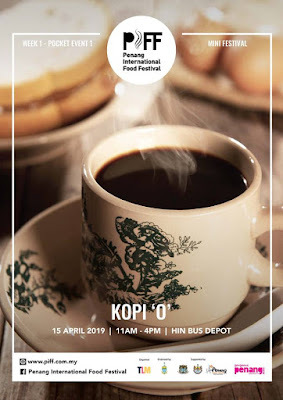 Kemudian nak beratoq panjang. Haaaa kali ni bawa duit cash siap-siap dan beratur. Haha. 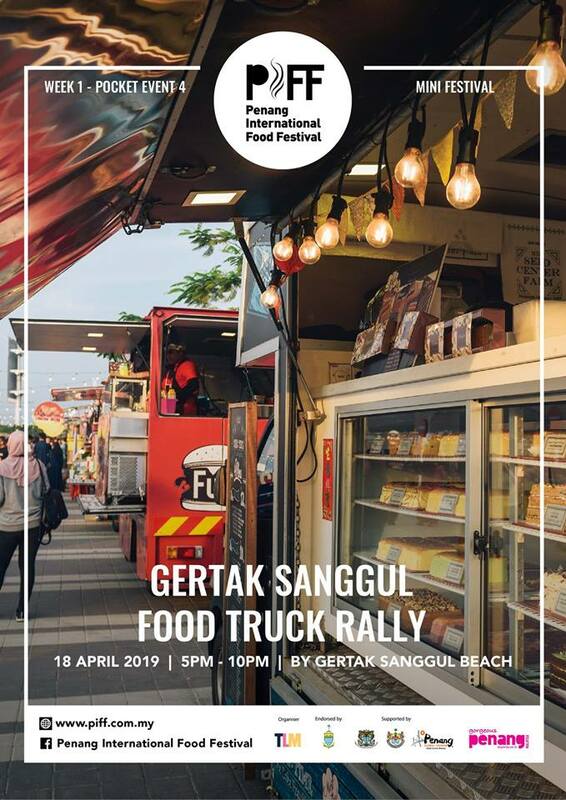 so sayang couldn't make it to penang street ff. 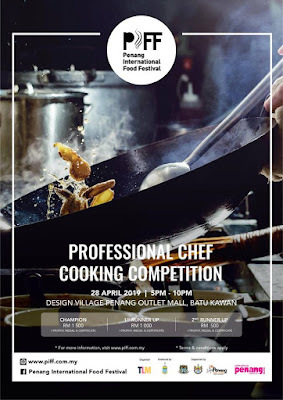 Since its end on 28th, it's just around the corner yet still not free to go. I want to go Seafood Galoreeee. It was a great event at there and all good featured indeed yummy delicious food!! !